An unincorporated township north of Waco, Elm Mott has remained a small but thriving community since its founding in 1872. Two of Elm Mott’s earliest settlers, Louis Bishop Christian and Edward M. Long, described the area as a wilderness or “an earthly Eden” when they first arrived. Both came to the sparsely populated region known at that time as Geneva just north of Waco Village after serving in the Civil War. 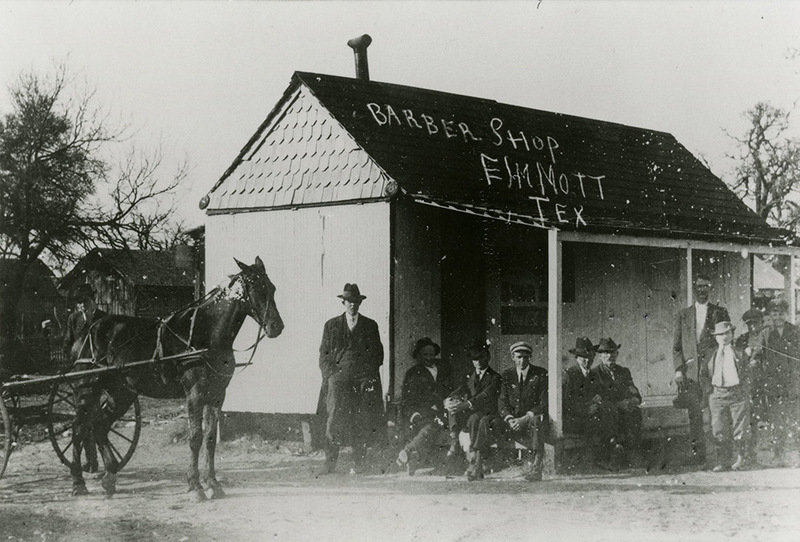 When the community applied for a post office several years later on November 8, 1872, the area’s name changed to Elm Mott in order to avoid confusion, as there was already another Texas town bearing the name Geneva. Local residents selected Elm Mott because of a nearby elm grove. William C. Griffin served as the first postmaster, and the post office operated until November 11, 1873. It was reestablished May 12, 1876, with W. A. Miller as postmaster. Throughout its years of operation, the post office was housed in businesses around the area including several local stores and a bank. For many years, children attended school in a one-room log cabin in Lewis Christian’s pasture, where one teacher taught all grades. 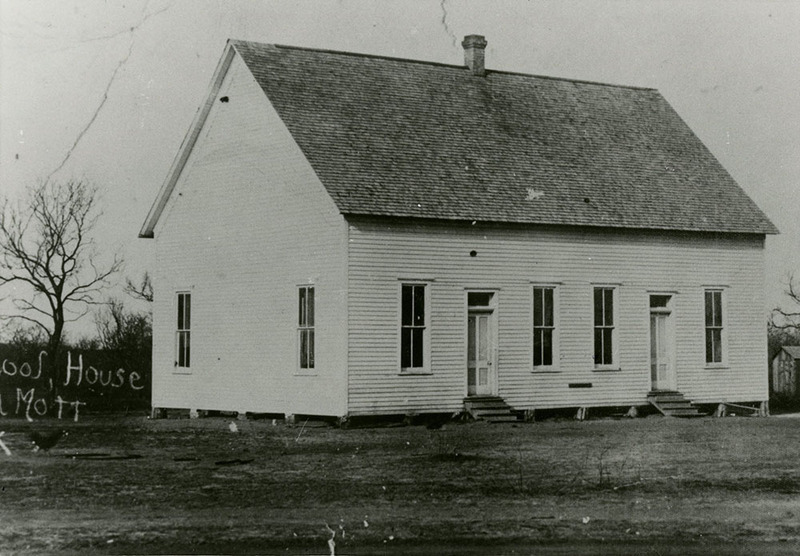 In 1876, workers completed construction on a building named Union Grove to be used by the Methodist Episcopal Church South, the Cumberland Presbyterian Church, Missionary Baptist Church, and the State of Texas for a public school. In 1920, J. D. Long gifted land for a new school. A two-story building was erected at the site. In 1938, the second story of the building was turned into a gym and auditorium. The community truly began to grow when the Missouri, Kansas, and Texas railroad (M-K-T) laid tracks from Hillsboro to Taylor in 1881, passing through Elm Mott. 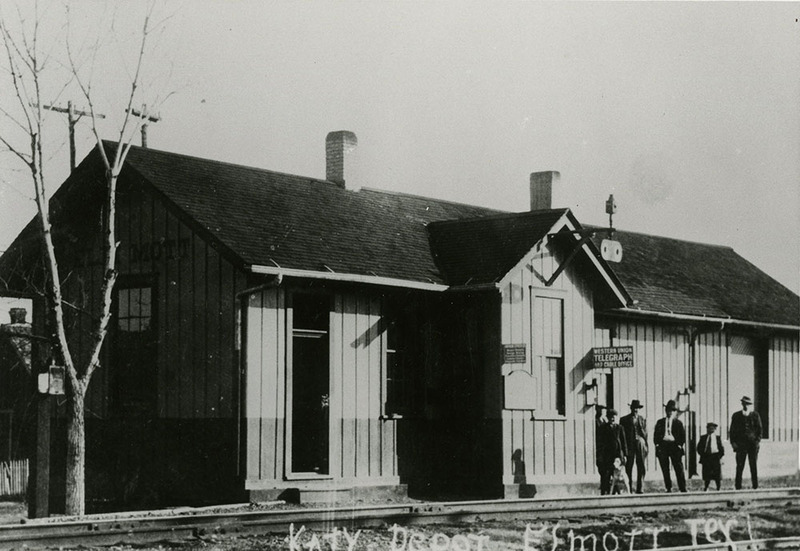 The depot came to stand as a center of commerce for the area. In the decade following the arrival of the railway, the population tripled and the settlement boasted a hotel, a gristmill and gin, two general stores, and multiple churches. 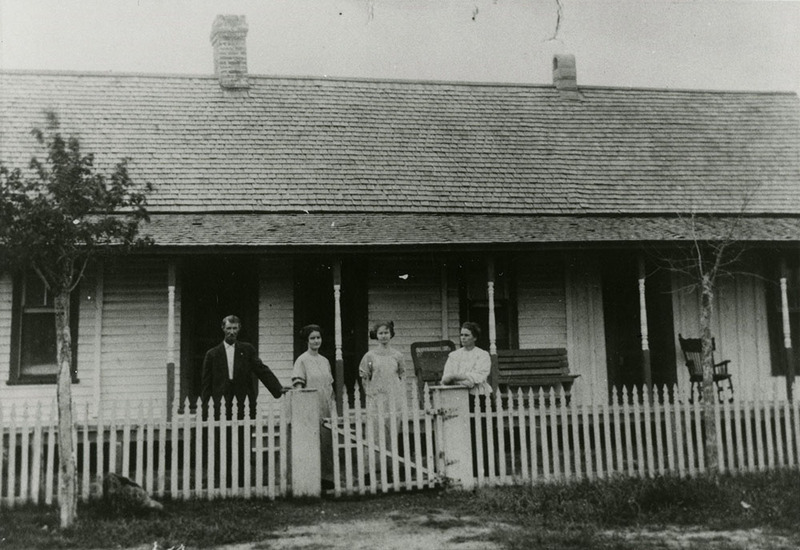 The population continued to grow and in 1921, a private bank opened in Elm Mott. However, state examiners closed it in 1926 after a previous year’s drought kept area farmers from repaying their loans. Another rail line passed through Elm Mott after Mary E. Thomas deeded land to the Northern and Texas Central Railroad Company on October 28, 1879. The track was laid to Ross, Texas, and renamed the Waco & Northwestern Company. M-K-T unsuccessfully attempted to purchase the line, later choosing to build its own line in the region. On April 11, 1929, Waco & Northwestern abandoned its line. In 1913 an interurban line from Dallas was completed, passing through Elm Mott on the way to Waco. 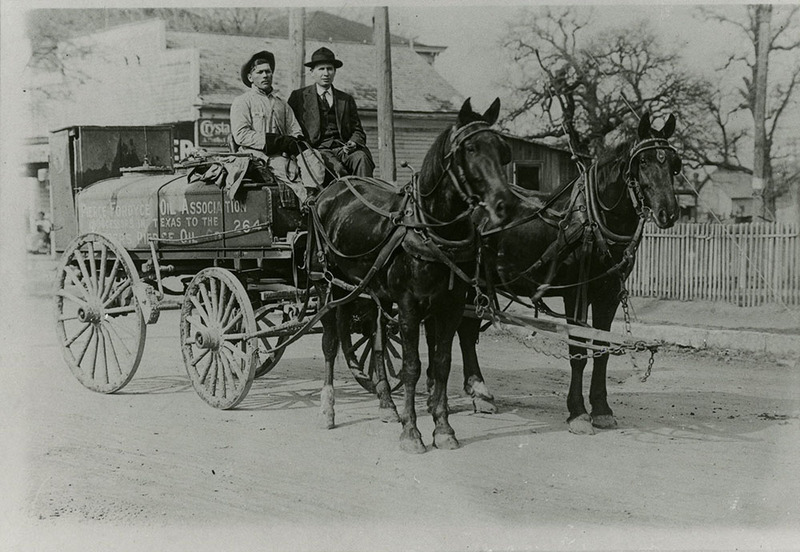 The line ran parallel to the M-K-T on the west side of Elm Mott and provided citizens with convenient and economical transportation throughout the state. The interurban operated until December 31, 1948, when the Texas Electric Railway ceased operations. The second half of the twentieth century brought a number of changes to Elm Mott. Beginning in the 1940s, the government established plans to renovated and upgrade US Highway 81. Initially, residents hoped this would spur the growth of the already expanding population, leading to Elm Mott’s incorporation as a town. Unfortunately, the expansion of the highway in the 1950s forced many Elm Mott residents to vacate homes and relocate their businesses, in turn resulting in a sharp decline in the community’s population. Around that same time, officials combined Elm Mott Independent School District and the Lakeview Independent School District to form the Connally Consolidated Independent School District. Beginning in the mid-1990s, the Elm Mott’s population began to increase again. Though the community remains small today, Elm Mott continues to stand today as integral part of McLennan County. 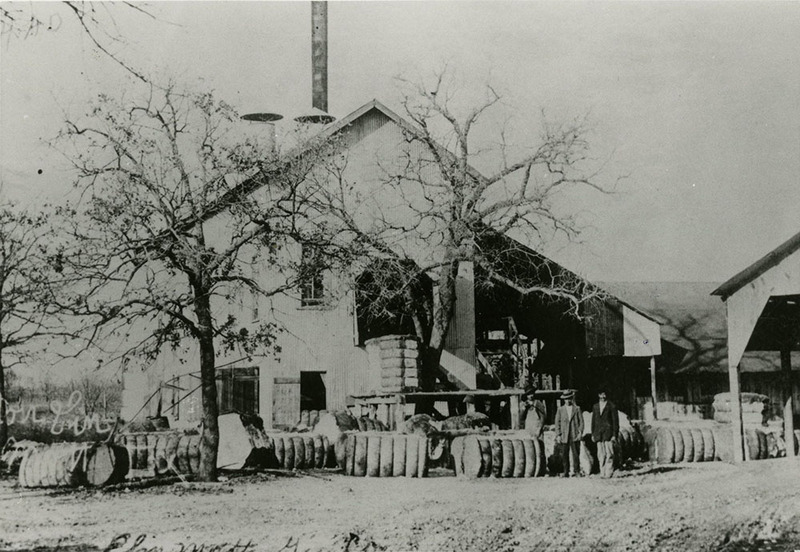 Sharon Bracken, ed., Historic McLennan County: An Illustrated History, “Elm Mott,” Waco History, accessed April 26, 2019, https://wacohistory.org/items/show/129. A version of this article originally appeared in Historic McLennan County: An Illustrated History.Bracken, Sharon, ed. 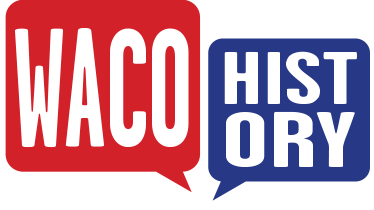 Historic McLennan County: An Illustrated History. Commissioned by the McLennan County Historical Commission. San Antonio, TX: Historical Publishing Network, 2010. Smyrl, Vivian Elizabeth. “Elm Mott.” Handbook of Texas Online. June 12, 2010. Accessed February 24, 2016. https://tshaonline.org/handbook/online/articles/HRETN.